Sand, Wind and Stars - LRDG, 70 years on: A Waterfall in the Desert. 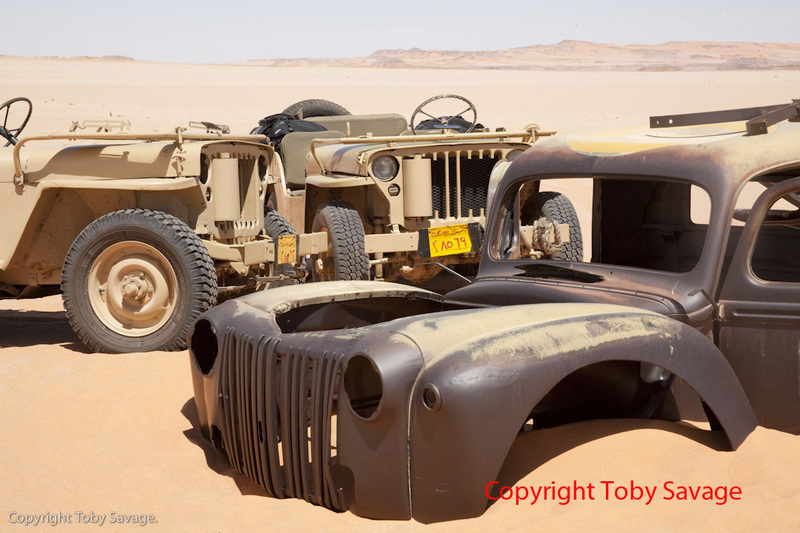 On this epic trip we visited about ten significant LRDG sites ranging from fuel dumps to whole trucks. This one we think is Sudanese Defence Force and attached to the Desert Air Force. 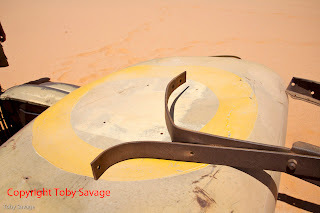 The roundel on top of the cab has a yellow outer ring which those in the know base the identification on. 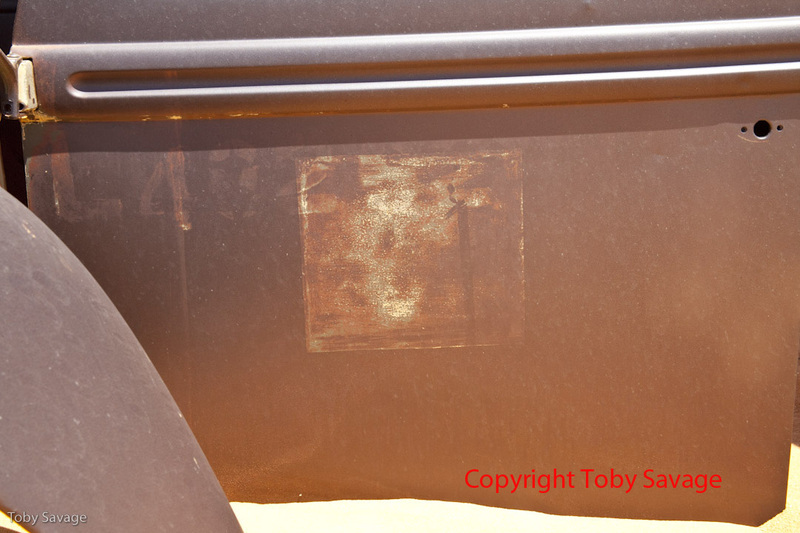 We think it is a ‘Waterfall’ grill Ford truck, but anyone who may have further info please get in touch. The letters on the door appear to read ‘L48252’ or something like that. Is it just me? Why is there just a neat body unit.....apparently carefully lifted off the chassis? 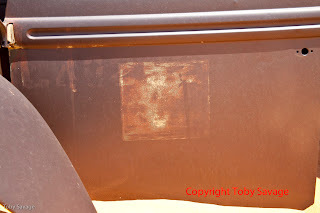 The chassis, or a chassis, was dumped in the back and is just visible through the rear window. There are many other shots, but I liked these! 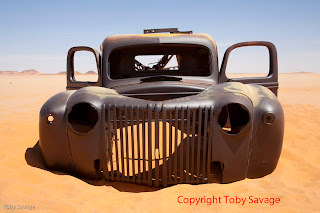 This is an early 1942 model Ford pickup , which was used (and abandoned) by the Sudan Defence Force in the Kufra convoys. It had nothing to do with the Desert Air Force. One of the convoy routes (via Wadi Wassa) rounded the dunes east of the Gilf near the point this truck was abandoned.